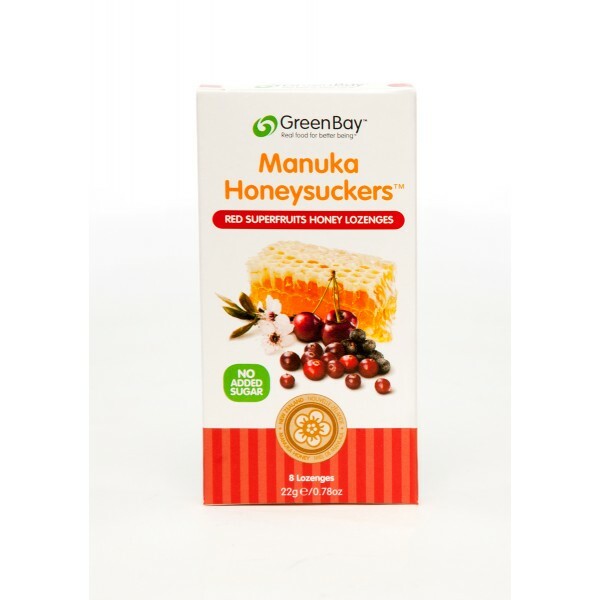 Blended with antioxidant-boosting cherry, açai and cranberry extracts this Manuka honey lozenge packs a fruity burst of energy. Red Superfruits Manuka Honeysucker lozenges are made with raw Manuka honey blended with antioxidant-rich natural cherry and red berry extracts. 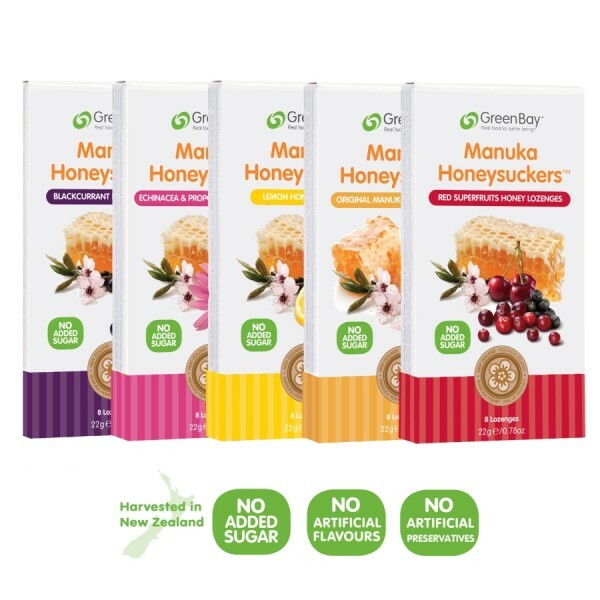 Naturally Good for You: Each lozenge is made from raw, certified Manuka honey. The honey is carefully dried in a light and heat-controlled (below 37°C) environment to conserve its natural goodness. Sour cherry extracts have been shown to aid good sleep. Ingredients: Manuka Honey (70%), Cassava Starch (10%), Concentrated Cherry Juice (9.3%), Concentrated Cranberry Juice (9.3%), Freeze-Dried Acai Powder (1.4%).